Home Blog How Long Should I Rest Between Sets? Even if you have your rep and weight range nailed down, you might be unsure about how long you need to rest between sets. 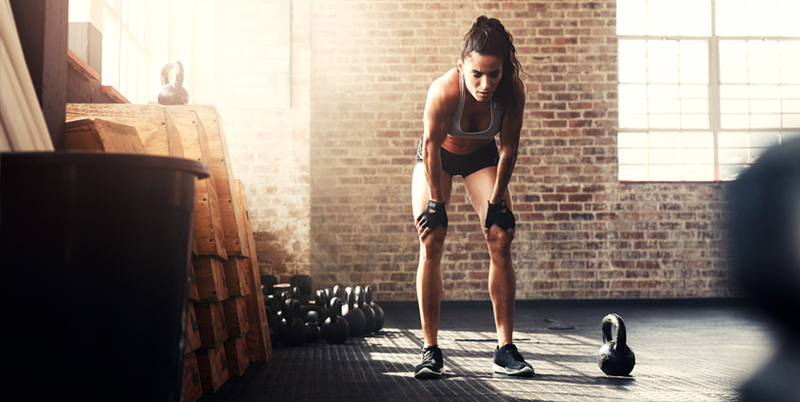 This number will vary depending on your goal: are you trying to improve your strength? Or are you more concerned with putting on muscle? If your goal is to improve strength, you’re likely attempting to beat one rep maxes every time you step in the gym. For that reason, you should get between 3 and 4 minutes of rest between sets. This allows your muscles to fully recover between each set so you feel strong throughout your reps. If your goal is to build muscle, on the other hand, the amount of rest between sets decreases significantly. Try to aim for only 60 to 90 seconds. To understand why, we first have to address your anaerobic vs. aerobic energy systems. Your anaerobic system is the one used in weight training, while your aerobic system supports your cardio. In an anaerobic state, your body converts glucose to ATP, the energy source used to make your muscles work. This produces lactic acid. As lactic acid begins to build up in your muscles, your performance begins to suffer. To correct this, you need to flush the lactic acid from your system, but how? Rest between sets! The 60-90 seconds we recommended is time in which you can sit and breath, bringing more oxygen to your muscles to help carry away the lactic acid. Drinking water and stretching can also help. Another way to work around the issue of lactic acid is to use supersets. If you work antagonist muscles on the same day, like biceps and triceps, you can train one muscle group while the other rests. Since you’re still working out while you’re resting, this speeds up your training, reducing the total amount of time you need to spend in the gym. If you’re using supersets, reduce your rest between sets to 15-30 seconds. Shorter rest times have also been linked to an increase in growth hormone levels. Growth hormone is not only responsible for helping you build muscle, but for fat loss as well. Although lactic acid is commonly vilified, it is actually a trigger for growth hormone, too. The last benefit of shorter rest times we’re going to cover is the pump. By reducing the amount of rest between sets, you’re keeping your momentum going and the blood flowing into your muscles. This blood flow delivers the nutrients and oxygen needed to improve performance, plus growth hormone to stimulate muscle growth. There you have it: to build muscle, chase the pump and keep your rest between sets to 60-90 seconds.